Starting bright and early Sunday, Illinois gamblers will be able to try their luck from the comfort of their own homes as the state becomes the first to allow online lottery ticket purchasing. It’s a move that has been a long time coming, according to Illinois Lottery superintendent Michael Jones, who oversaw research to determine how online lottery sales could impact Illinois residents and the state’s revenue stream. In Illinois’ current cash-strapped condition, lottery revenues — which contribute to schools and capital projects like road and bridge construction and repair — could be a huge relief. 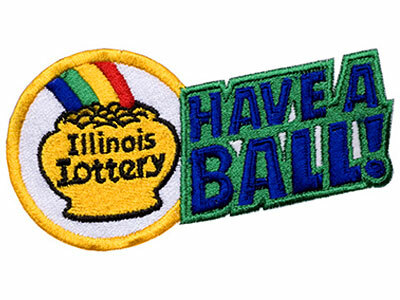 But making it a viable revenue source required a change in the Illinois Lottery’s ad strategy: from an emphasis on making current customers buy more tickets, to a focus on increasing the customer base. And Jones said that today’s customers are used to doing all of their shopping online. Critics of the online lottery worry the increased access will have the opposite effect, making it easier for people who are struggling with — or who are at risk of — gambling problems to further their addictions. But Jones argues that the new, online lottery system could in fact help the state better identify and curb irresponsible gambling. The website that will be unveiled Sunday will require users to register with their Social Security numbers for age verification and their home addresses to confirm in-state residency, and will also incorporate geo-locating software to ensure tickets are only purchased within state boundaries. Jones also said the Illinois Lottery is considering placing caps on the amount of money individuals can spend on a single drawing. So far, it’s only hosting Lotto and Mega Millions, which have infrequent draws, and is avoiding scratch-off style instant games while it further develops protections.